A fantastic heart made from wild flower illustrations. Splendid flower decal from our collection of heart stickers to decorate your home. If you love flowers and want to decorate your home then you have come to the right place! 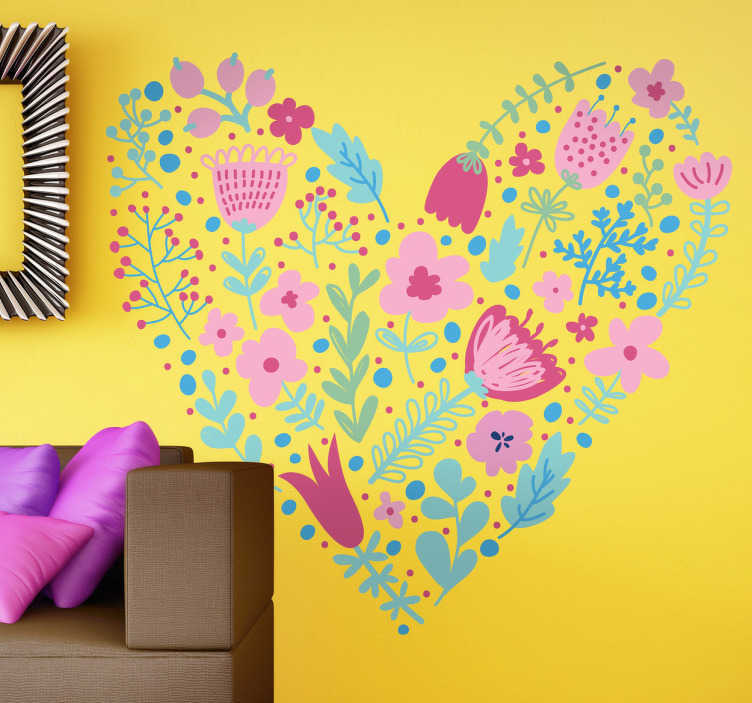 Add love into your home with this design. This floral heart design must be applied on a smooth surface. Made from high quality vinyl and available in various sizes. Absolutely easy to apply and does not leave any residue upon removal.